FRANKFURT -- Porsche is considering building the Cajun in its plant in Leipzig, Germany, but an Audi plant may be chosen instead as the production site for the new small SUV, German press reports said. The Cajun is due to go on sale in 2013 as part of Porsche's plans to expand its lineup to help nearly double annual unit sales to 150,000. Porsche has drawn up plans to expand its Leipzig plant for the Cajun and has held discussions with the city's authorities, the Leipziger Volkszeitung newspaper reported on Tuesday. Porsche currently employ 650 workers in Leipzig producing the Cayenne SUV and Panamera sedan. One of Audi's two German Audi production sites in Ingolstadt and Neckarsulm could also be chosen to build the Cajun, which will share its underbody with the Audi Q5, separate German press reports have said. Audi is responsible for developing the Cajun together with future versions of Volkswagen Group's VW, Porsche and Audi SUV models. 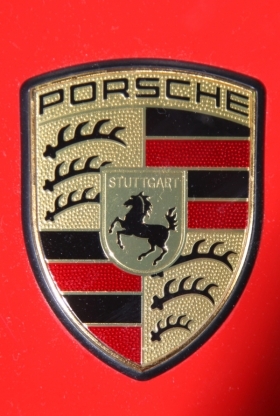 Porsche has not confirmed a production location for the Cajun. The Cajun -- short for Cayenne Junior -- will be aimed a younger customers who can't afford the Cayenne SUV, the brand's best-selling model. VW, which owns Audi, is merging Porsche into its brand portfolio after VW acquired 49.9 percent of Porsche's carmaking unit when Porsche last year failed in a hostile takeover attempt for VW.